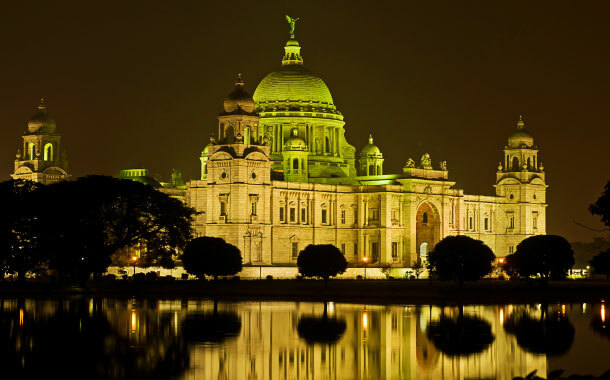 Home to bookworms, football maniacs, fish lovers and Durga Pujo the beautiful city of Kolkata is the second largest city in India after New Delhi. The city, that was once the capital of India, happened to be the second most important city for the British Empire after London. Here are a few things that perhaps people outside West Bengal and the Bengali community, are not really aware of. Read it up and have fun while also inflate your overall knowledge about the city. 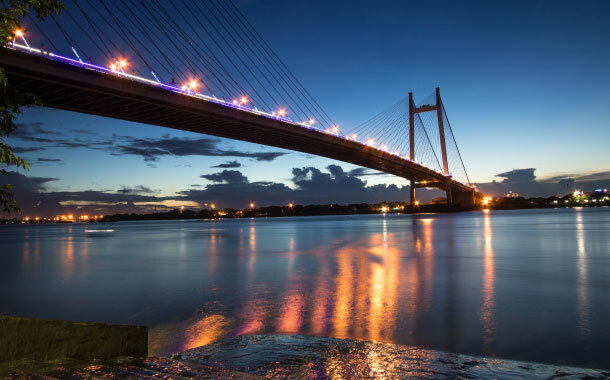 And to explore it further, take a flight to Kolkata and relive everything you are to read here. The land of bookworms Kolkata, or Calcutta, as still lovingly called by the Bengalis, College Street or ‘Boi Para’ (Colony of Books) is the largest book market in India. In effect, it happens to be world’s largest second-hand book market that sprawls over an expansive area of 1.5km in central Kolkata. Be sure to get your hands on any book, new as well as old under the sky, written in any Indian language. Also you will get books written in other languages such as French, Russian and German, just to name a few! Largest book fair in Asia and third largest book fair in the world is the Kolkata Book Fair. The event witnesses every time an ensemble of celebrities and commoners gathered to purchase books. And it is not just restricted to books but also encompasses different other forms of art and artistic renditions regularly throughout the entire duration of the fair. We all know that Kolkata is the only Indian state to serve the busy bees with the Tram service beside other modes of travel. But do you know that it has been operating since the year 1902! 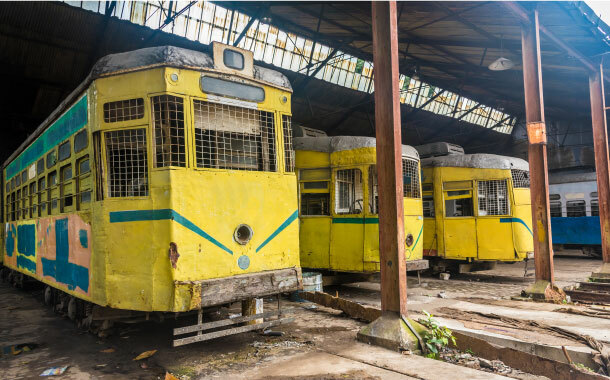 The Calcutta Tramways Company today runs the oldest electric trams in Asia. Contrary to the rickshaws that we ride in several parts of India, these are Calcutta’s own unique rickshaws. 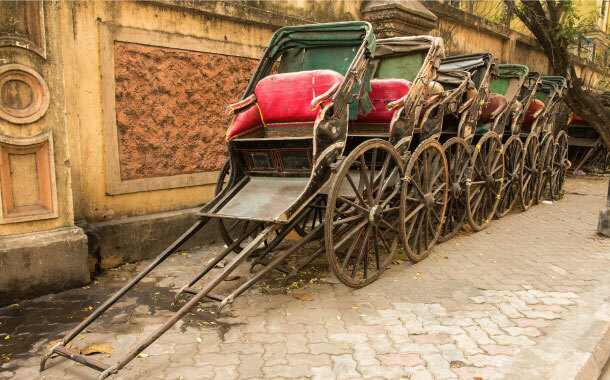 These are the hand-pulled rickshaws that you will come across as you begin to explore the city. Kolkata the word was derived from the term ‘Kolikata’. 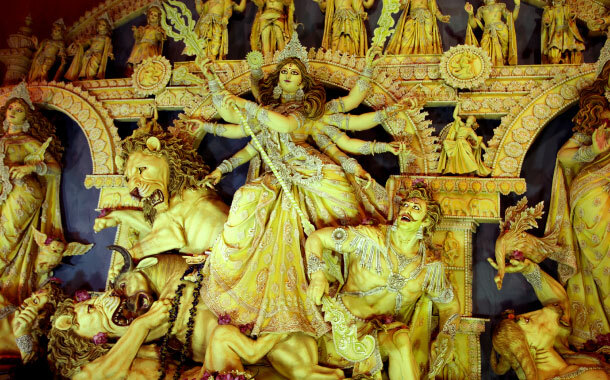 The term ‘Kolikata’, which according to some means the ‘Field of Kali’, was one of the three villages that today unite to form the city of Kolkata. The names of the other two villages are Sutanuti and Gobindapur. The literacy rate of Kolkata is 87.54% according to the Census 2011. This figure is way above the national average of 74.04%. This is the first Western-style varsity to impart secular education in Asia! 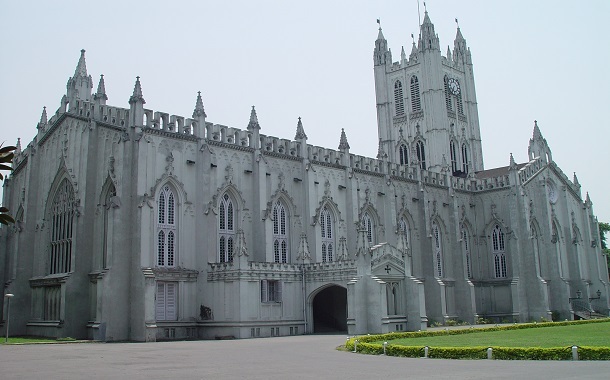 Established in the year 1857, here are some of the luminaries who were closely associated with the university - Rabindranath Tagore, Amartya Sen, C. V. Raman, Satyajit Ray and Aditya Birla. World’s first Polo Club was instituted in Kolkata or rather the then Calcutta. It is the Calcutta Polo Club. While the Royal Calcutta Golf Club was the first one to be built outside United Kingdom. This is the city of passionate football supporters that can get quite unruly and overtly emotional post-match. 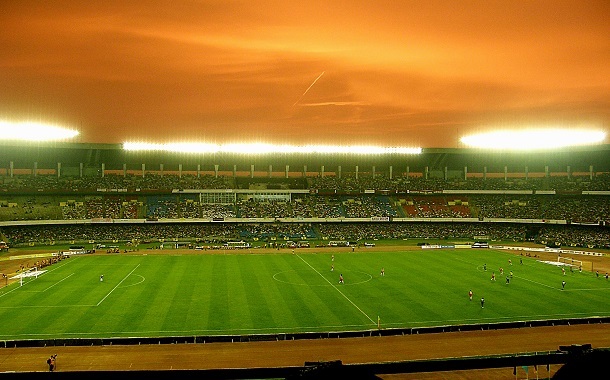 And located here, the Salt Lake Stadium is the world’s second largest football stadium in the world. 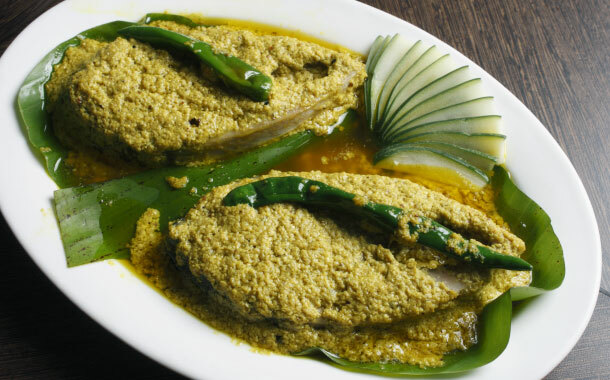 The Indian-Chinese cuisine that we today gorge ourselves on originated right here in Kolkata. Kolkata is home to a huge Chinese population - a fact that became the reason for the institution of India’s only Chinatown in Kolkata. Did you know that world’s second oldest tournament is the Calcutta Football League. Established in the year 1898, it is also the country’s oldest football tournament. The National Library in Kolkata is the nation’s largest public library. This is the epitome of the colonial past of India, the Astor Hotel. Situated close to the Maidan Metro Station, this is a century-year old building that till date has successfully been able to uphold the blend of old world aura and modern day charm. Next time when you visit Kolkata, do not miss a trip to the Birla Planetarium. It is Asia’s largest planetarium. In fact it is also the world’s second largest planetarium. This is the second oldest Consulate of the U.S. Department of State. The father of Roshogolla was Sri Nobin Chandra Das. Like a true Bengali, he had offered a merchant who had come to his place, a plate of this white-coloured sweet along with a glass of water. The merchant immediately fell for the lovely spongy sweets and took home a good quantity of the same. And ever since then, Roshogolla become the iconic sweet of West Bengal for eternity! Despite the business life, you will see, that people in Kolkata regardless of day and time, will stop right in the street for a little chit-chat. And around the early evenings, inside the neighbourhoods, you can notice people coming out of their house, assembling to sit down on the cemented seats erected right in front of their houses to partake in a session of ‘Goppo’ (conversation). And these sessions are always accompanied by rounds of tea and beguni, shingara, peyaji, muri makha, aloor chop and other different kinds of savouries. Chess is one of the common games played in a Bengali household. And the madness runs such deep that chess is played right in the middle of roads in Gariahat. It is a craze - people while returning from their offices come up to this place and wait for their turns to play. One of the ill-fated places in Kolkata, the metro station is said to be haunted. Unfortunately the station holds a high record of suicides. It is said that you can witness certain figures vanishing afar with the last metro of the day. This is India’s busiest station. Additionally, the Howrah Junction of this station is also the largest and oldest complex in India. This may be one of the things that you are not really aware of about Kolkata - the Kolkata Zoo is India’s oldest zoo! In the Acharya Jagadish Chandra Bose Indian Botanic Garden, has the world’s largest tree, the Great Banyan tree. It is beyond 330 metres in circumference. So what are you waiting for? Book your flight right now and get ready to explore!